Record-breaker number one: The Diamec U4 in its 5 x 6 m drift. Ever since the French built a railway from the Yunnan plateau into Vietnam in the late 18th century, tin has been an important export to the countries of South East Asia. Today, a wave of modernization is sweeping though the Yunnan Province mines, not least the Datun Mine which has the largest tin reserves in China and an annual production of two million tonnes of tin ore and 12 000 tonnes of tin. Located in the city of Geiju and operated by the Yunnan Tin Group, the mine is striving to introduce new technology and equipment in order to boost efficiency levels. 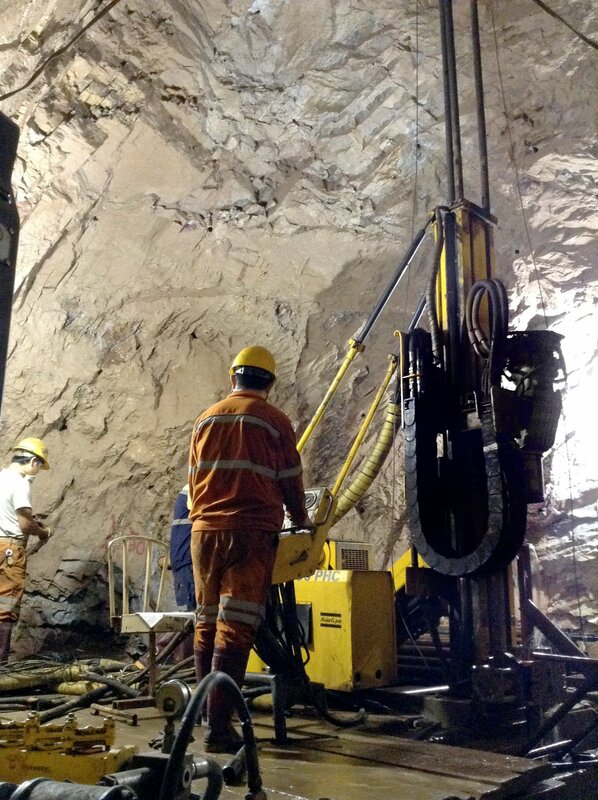 As part of this project, the mine commissioned two new exploration drill rigs from Atlas Copco – a Diamec U4 and the larger Diamec U6 – both of which have achieved productivity records. Drilling 15 hours per day in a 5 x 6 m diameter drift, the Diamec U4 achieved an average productivity rate of 900 m per month, 150% better than previous equipment. Productivity then soared once more when the Diamec U6 went into operation. Working at a 6 x 8 m mining face and drilling at a depth of 618 m, the rig scored a maximum productivity rate of 1 390 m per month with an average of 1 030 m/month.